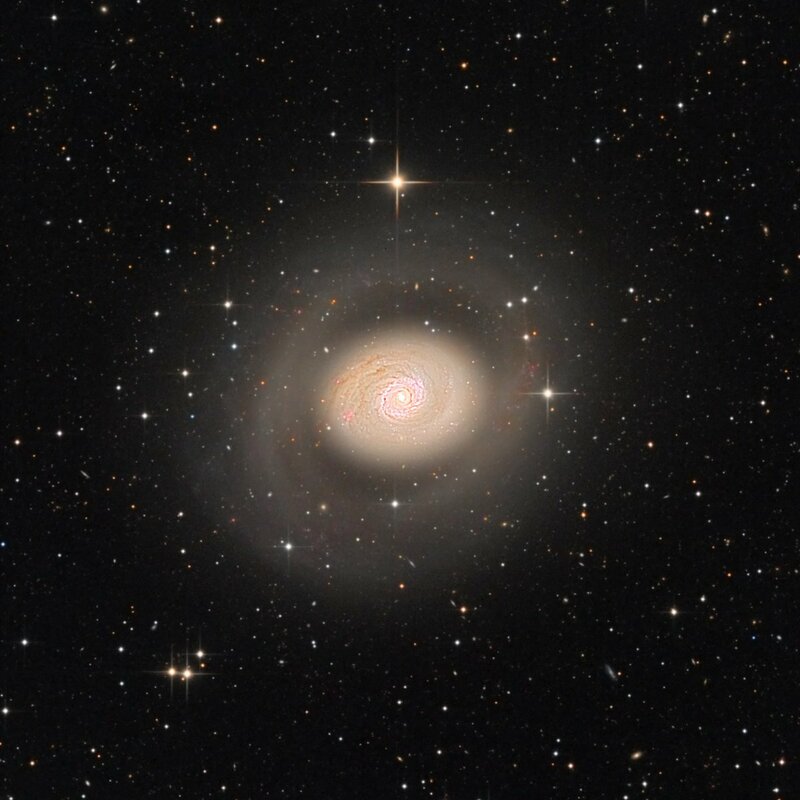 Messier 94 (M94), also known as Cat’s Eye Galaxy or Croc’s Eye Galaxy, is a spiral galaxy located in the constellation Canes Venatici. The Cat’s Eye Galaxy has an apparent magnitude of 8.99 and lies at a distance of 16 million light years from Earth. Messier 94 is estimated to contain 40 billion stars. The galaxy is receding from us at approximately 300 km/s. 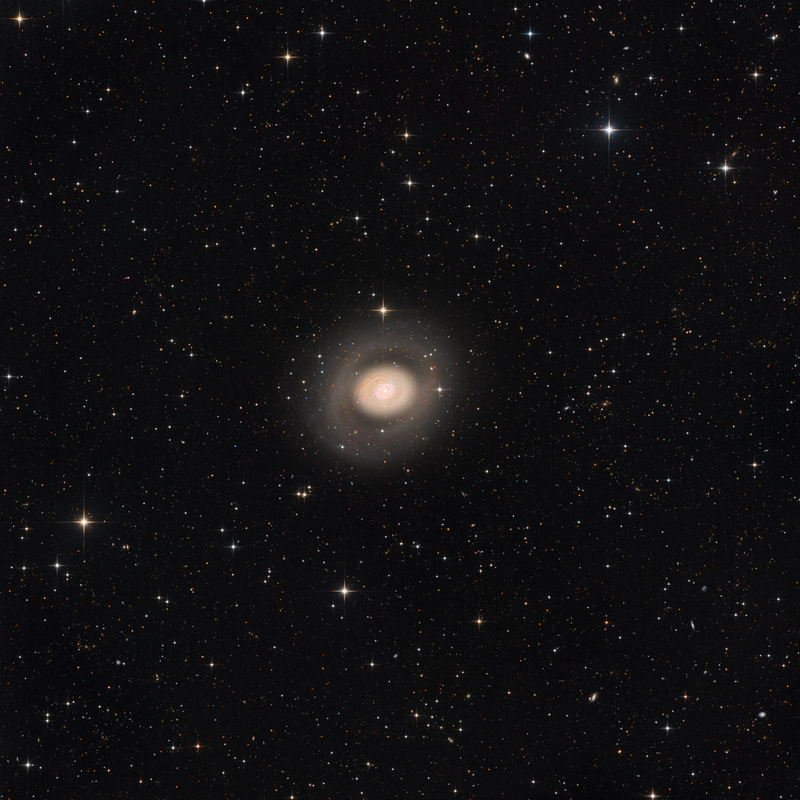 Its main disk is about 50,000 light years in diameter, but the galaxy has a considerably fainter outer ring that extends for at least another 30,000 light years. The outer ring of M94 is not a closed stellar ring, as previously believed, but a complex spiral arm structure seen in mid-infrared and ultraviolet wavelengths. In other words, what appears to us as a ring is in fact a structure of two spiral arms that looks like an unbroken ring when seen from Earth.